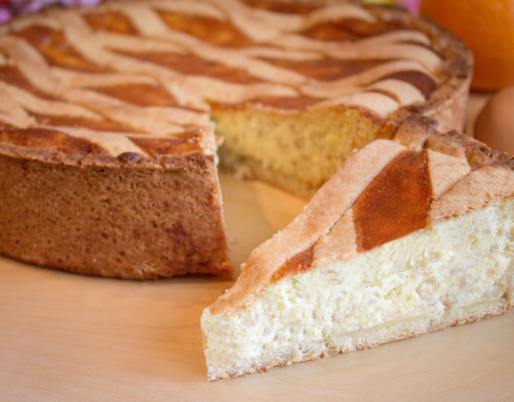 The Casatiello Dolce (Sweet Casatiello) is a cake symbol of the Easter tradition together with the Neapolitan pastiera. It has the same name of Casatiello Napoletano but it’s a totally different dish. Nothing to do with the beloved and well-known salted casatiello, the dough is completely different. It is in fact prepared with mother yeast or, as they say in Naples, ‘o criscit. 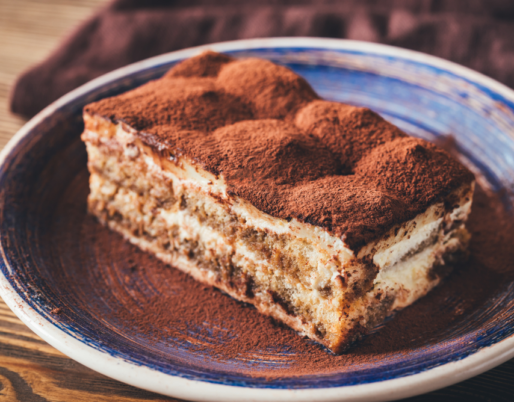 The Sweet Casatiello is a cake with a very complex flavor: one loves it or hates it, there are no means. 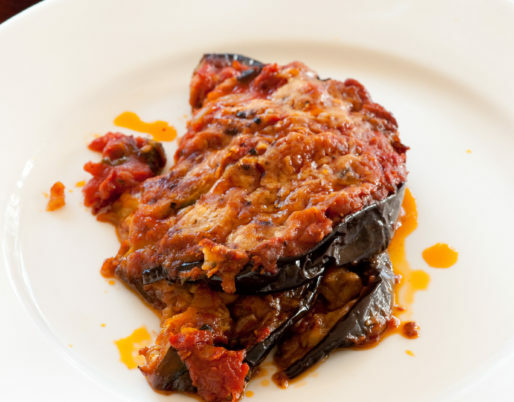 The dish is typical of the Phlegraean tradition, cooked in the areas of Monte di Procida and also in Caserta Cuty area. 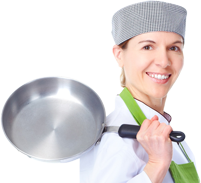 Its preparation is very long and occupies the house for a day and a night. It therefore requires a lot of patience, but will know how to reciprocate with goodness and sweetness. Once it was cooked in the wood-fired oven in single portions, today things have changed a little, but it is still the ideal companion for outings on Mondays on Easter Monday or to soak in milk for breakfast after the holidays. As said the procedure is quite long: in fact it is better to start the preparation of the sweet Casatiello recipe one night before. Prepare the sourdough, add a tablespoon of flour, a tablespoon of sugar and an egg. Knead and let it rest and rise overnight. The next day repeat the operation and let it rest for another 12 hours. After the necessary time, add the remaining flour, the orange juice and the remaining sugar, the two eggs, the lard, the aromas and work well until the dough is smooth and homogeneous. Now sprinkle a mold with a hole in the center with lard. Put the dough and bake in a preheated oven at 180 degrees for about an hour. When it is ready, beat the egg whites with the icing sugar and the lemon drops, then decorate the cake and sprinkle it with the so-called "diavulilli" colored sprinkles. If you don’t find sourdough you can make “lievitino” with brewer's yeast (15 gr): Dissolve the yeast in 1/4 of a glass of warm water with a teaspoon of sugar. Once ready mix it with 60 grams of flour and work with your hands until you get a compact and smooth dough. Let the yeast rise for 1 hour and a half covered with a cotton cloth. Procede adding all the ingredients.